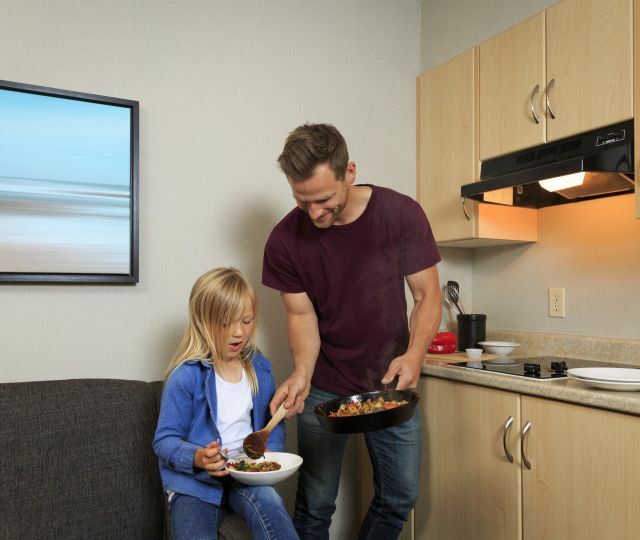 With its convenient proximity to YVR—but just a 15-minute SkyTrain ride away from downtown—our Vancouver Airport Hotel really does combine the best of locations. So, if you have a crack-of-dawn or red-eye flight, stay with us. 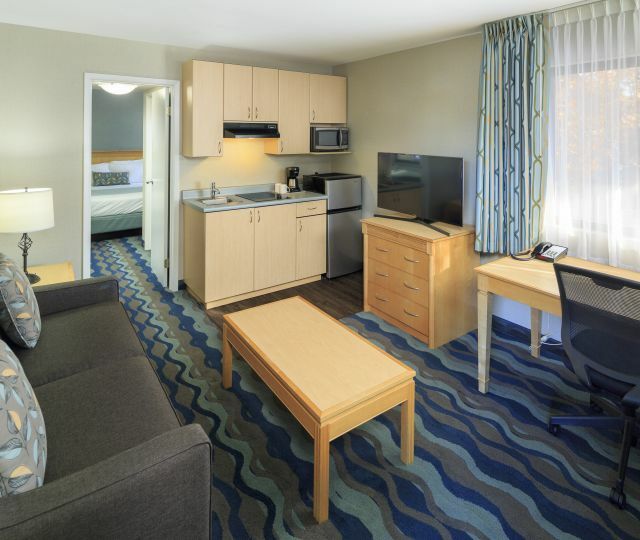 If you want an escape from a hard day’s night in Vancouver, stay with us. And if you want an affordable, friendly hotel with lots of freebies like free Wi-Fi, free parking, and free 24-hour shuttle service, stay with us. Really, when you think about it…wait! Are you still thinking about it? Just book with us already! 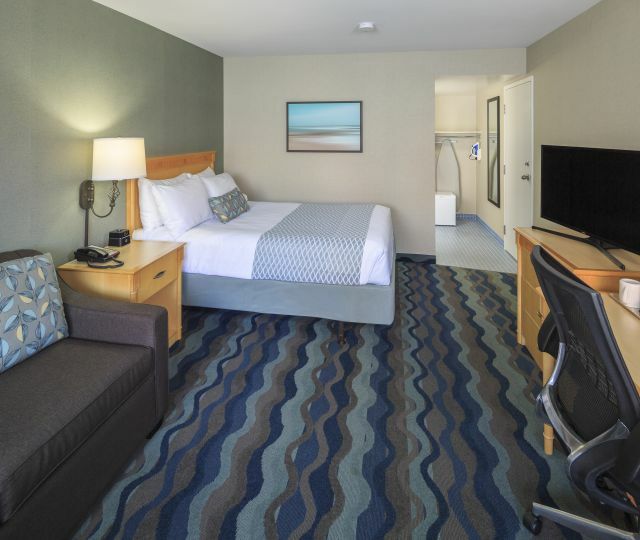 At Accent Inns Vancouver Airport, we’re more than just a comfortable night’s sleep and a hot shower (although you’ll get both, along with award-winning housekeeping services). You’ll also get bigger than expected rooms at a less than expected price—plus lots of extras you’d expect to pay for but where you won’t have to spend a dime. Or even a nickel. * We provide free shuttle service to and from Vancouver International Airport as a hotel perk for our guests! Please note that if you are arriving at the airport between 12:00 midnight and 3:30am, we do not have shuttle service at that time. We will be happy to pay for your taxi to the hotel if you arrive outside of shuttle hours—just give us a call at 604.273.3311 for pick-up! **Reservations must be made for long-term (stopover) parking. ***We have a coin-operated laundry, as well as same-day valet dry-cleaning service (available Monday – Saturday). 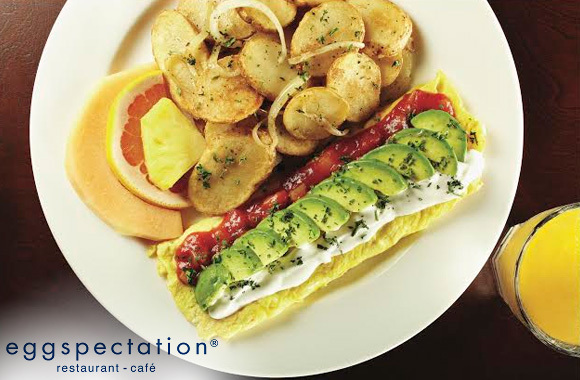 Accent Inns is eggcited to announce that Eggspectation, an amazing restaurant that got its start in Montreal, has opened at our Vancouver Airport location! This is the first location internationally-acclaimed Eggspectation has opened in Western Canada. Serving upscale breakfast, lunch and dinner with all-day cocktails, beer and wine. Enjoy their all-day breakfast and brunch, authentic Montreal-style poutine or custom, handmade pizza in cooked to perfection in the on-site oven! You meant to Google everything you should see and do while in Vancouver, but you’re on the move, or on the go, or on the job, and “ain’t nobody got time for that!” Fortunately, you’ve got us instead. If you want to please the palate, whet your whistle, tantalize the taste buds, or stuff your stomach (we made that one up), our Vancouver foodies on staff can ensure you’ll never go hangry again. When shopping in Vancouver, the last thing you want to buy is a lousy t-shirt—or a t-shirt that reads, “I went to Vancouver and all I got was this lousy t-shirt.” We’ll show you the best local stores and souvenirs.